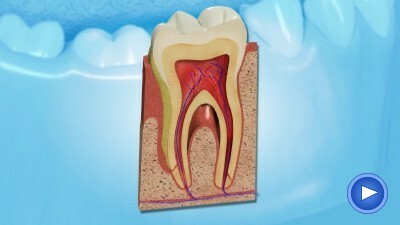 Tooth Decay may or may not cause discomfort, even though it doesn't hurt, the tooth is deteriorating. Screening for gum disease should form an integral part of your routine examination. Gum disease describes swelling, soreness or infection of the tissues supporting the teeth. There are two main forms of gum disease: gingivitis and periodontal disease. Patients can be self referred or referred to us from their own dentist but only on a private basis. You can view examples of our work on our Periodontal Referrals page here. Periodontal referrals are carried out by Dr Raman Bhardwaj. 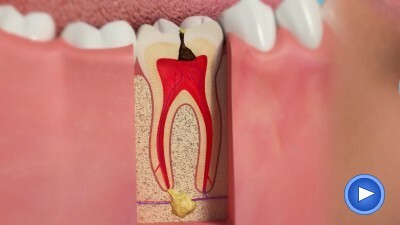 How does plaque lead to decay? Smoking can lead to gum disease and mouth cancer. 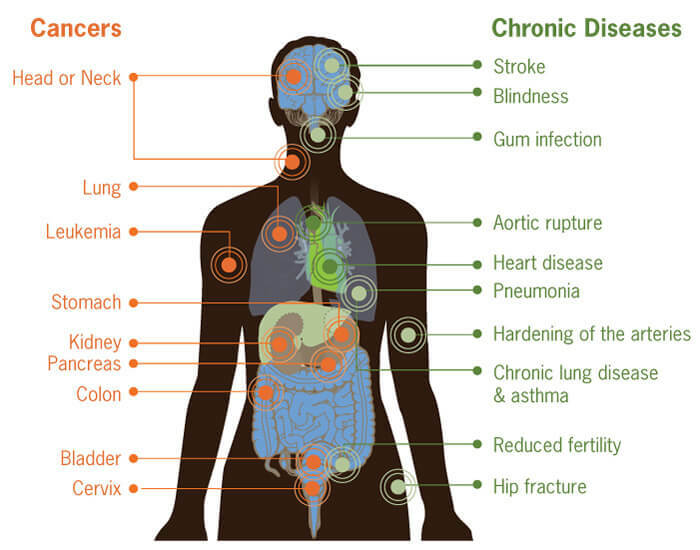 People who smoke are more likely to produce bacterial plaque, which leads to gum disease. The gums are affected because smoking causes a lack of oxygen in the bloodstream, so the infected gums don't heal. Smoking causes people to have more dental plaque and causes gum disease to get worse more quickly than in non-smokers. Gum disease is still the most common cause of tooth loss in adults. Mouth cancer is a malignant growth which can occur in any part of the mouth, including the tongue, lips and throat. Mouth cancers have a higher proportion of deaths per number of cases than breast cancer, cervical cancer or skin melanoma. The mortality rate is just over 50%, despite treatment, with about 1,700 deaths per year in the UK. This is because of late detection. Visit your dentist at once if you notice any abnormal problems or are not sure. Regular dental checkups allow early detection of abnormalities in the mouth. The Mouth Cancer Foundation is a registered charity that raises awareness of mouth cancers and provides information and support to patients, carers and health professionals. Ecig Juiced was formed by an ex heavy cigarette smoker who became convinced of the benefits provided by electronic cigarettes but found the array of offerings and terminology being used to be almost bewildering. After much research and several false starts he found what he was looking for in an electronic cigarette but this process led him to believe that there was a need for simplified straightforward offerings that people could easily understand.